Please select a size. 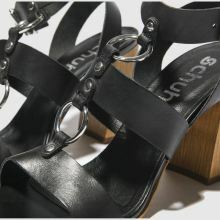 EU 37 - In StockEU 38 - In StockEU 39 - In StockEU 40 - In StockEU 41 - In Stock Please select a size. 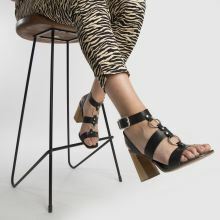 Make room for the Cassie block heel as it arrives fresh from the latest schuh collection to lead your new season footwear game. 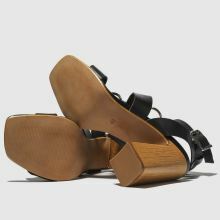 The strappy profile boasts black leather foot straps with circle hardware, a buckle fasten and a wood-effect 10cm square heel.